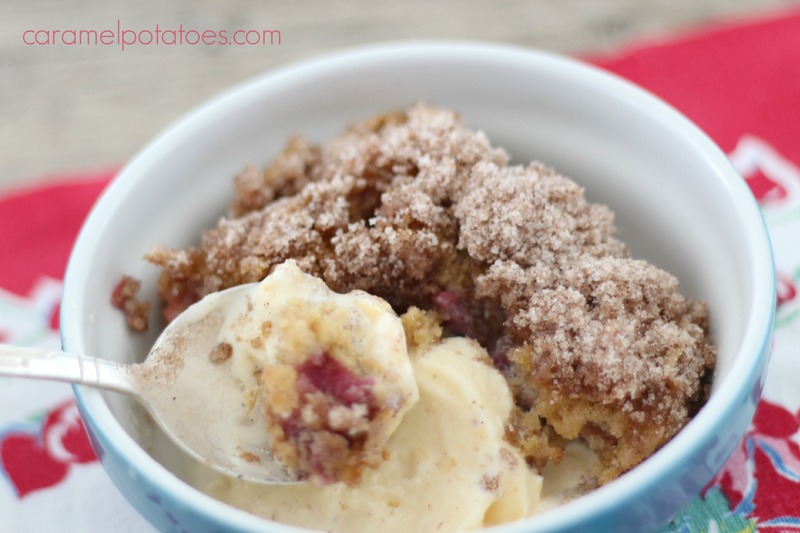 I couldn’t resist one more rhubarb recipe this season. 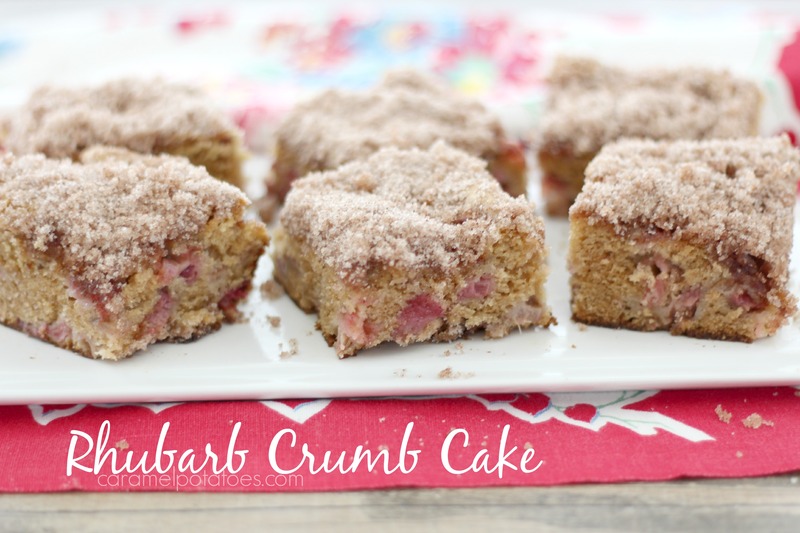 This Rhubarb Crumb Cake is bursting with fresh rhubarb flavor combined with brown sugar. It’s a wonderful moist and tender cake that can stand alone for dessert or a beautiful addition to your breakfast/brunch menu. Of course, once you smell it in the oven, you’ll most likely eat it warm out of the oven with a scoop of ice cream! Preheat oven to 350. Coat a 9×13 pan with cooking spray. Mix together the topping by combining the sugar and cinnamon, then cut in the butter until crumbly. Set aside. Cream the butter and brown sugar. Add the egg and mix well. Add the sour cream and vanilla, mix well. blend in the flour and soda until all is evenly combined. Stir in the rhubarb by hand until just combined. Pour into prepared pan. Sprinkle with topping mixture. Bake for 35-40 minutes or until tester comes out clean in center of cake. Serve warm with ice cream or cool completely and cut into squares. 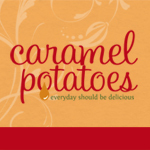 Yum – I’ll be trying this soon. Thanks!